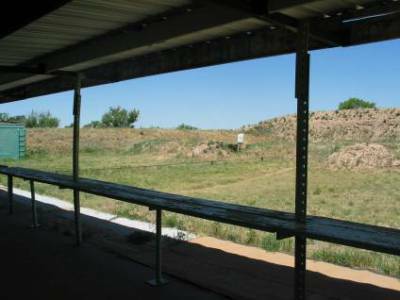 The Club’s Outdoor Bullseye Pistol Range is a 25- and 50-yard handgun-only range on the far east end of the Club property. The Bullseye Range is used for registered and scheduled pistol competitions. Casual, unsupervised shooting is allowed on this range, but pistols should only be shot from behind the firing line at paper targets held in the Club’s target holders, provided and stored in the Bullseye Range’s own storage boxcar. No plinking at cans or any other objects is allowed, and firing from anywhere other than behind the single firing line is prohibited. All Club and Range rules apply. For pistol shooting closer than 25 yards, please see the section on the Practical Pistol Pit.